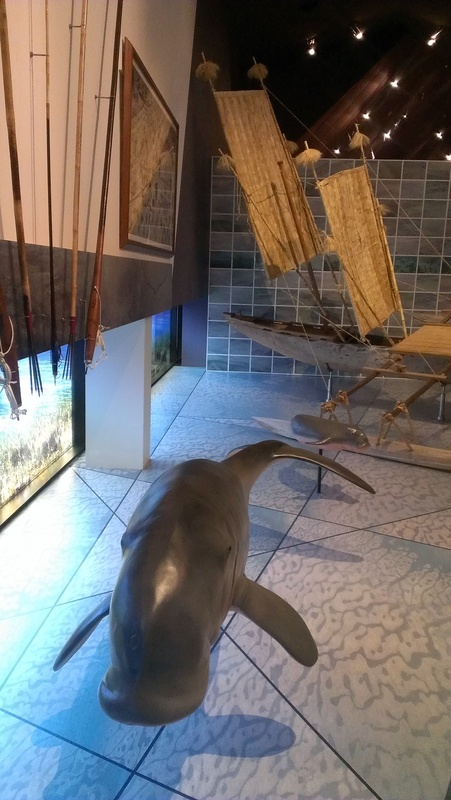 After over a year of research, planning, writing, fabrication and installation the new Lag Meta Aus, Home in the Torres Strait gallery was opened at the National Museum of Australia. We brought down Joseph Elu AO, chairperson of the Torres Strait Regional Authority and he was a true force in officially opening the space. 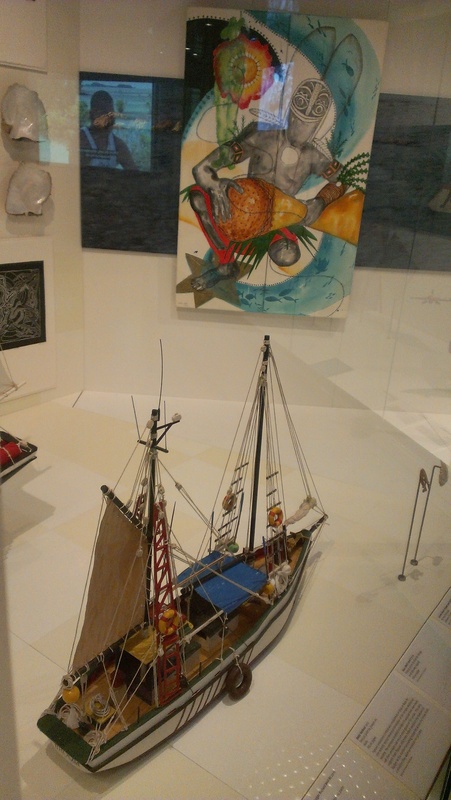 It’s great to finally have the gallery open and fantastic to see the public’s reception to my work, however the best feedback has come from the Torres Strait community itself with great reviews from all who had the chance to attend. A huge thanks goes out to a myriad of people to get this exhibition up and running, but special mention must be made of my primary cultural consultants – Dana Ober, Vic McGrath, Ned David and Aven Noah – and with the project team – primarily Serena Milne, Sarah Ozolins, Julie Simpkin, Lucy Bannyan and Marianne Hawke. Here’s the LINK to the NMA Lag Meta Aus website. 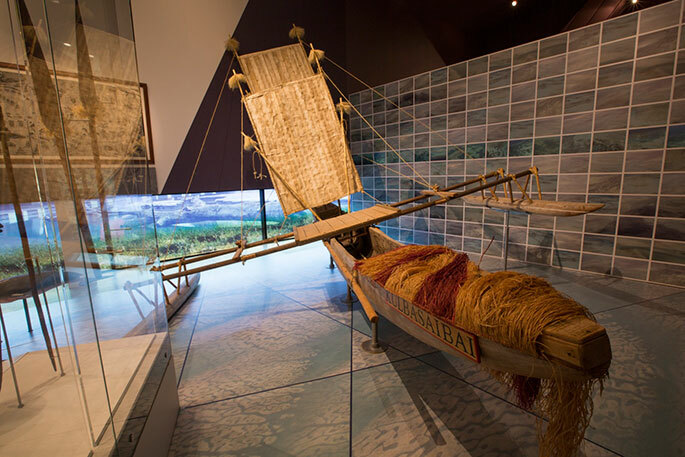 The Kulbasaibai canoe which is the central feature of the pre-european contact module of the exhibition. The mother and baby dugong below an amazing Alick Tipoti link-cut print representative of the sea hunting tradition in the Torres Strait.